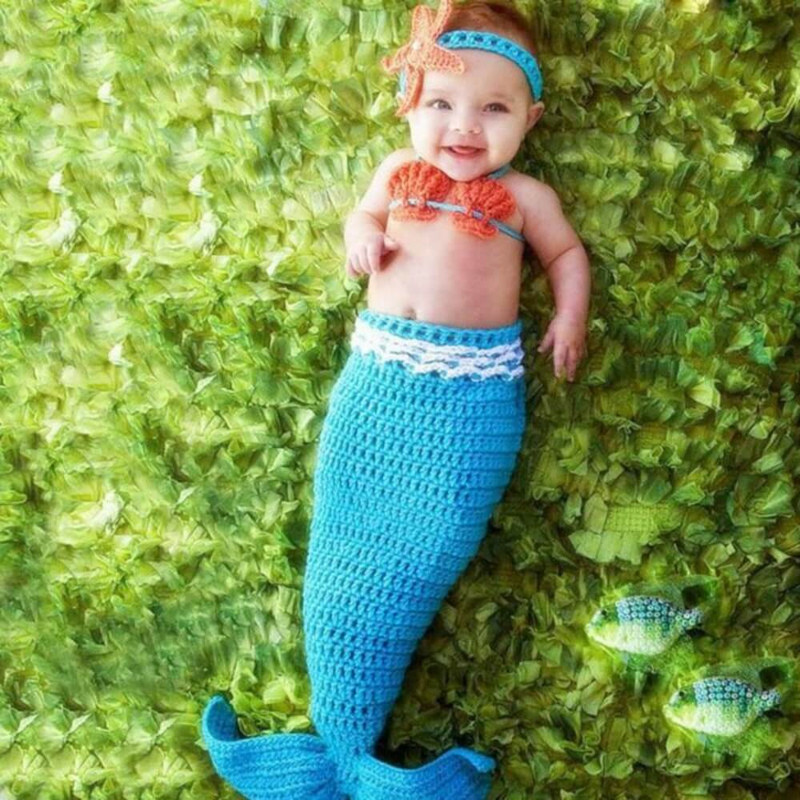 This adorable and hard to resist Mermaid Crochet Baby Photo Prop, is just what you have been looking for! Perfect for many occasions such as newborn photo shoots, baby shower gifts, costumes, and much more, it's so hard to pass up! Soft, comfortable and breathable that won't hurt your baby's soft skin, make your baby more cute. Suitable for 0 to 12 months baby. Unisex design makes it suitable for both baby girl and baby boy. These adorable croche are really love by kids worldwide! They are made with Premium High Quality material and are perfect for little ones.